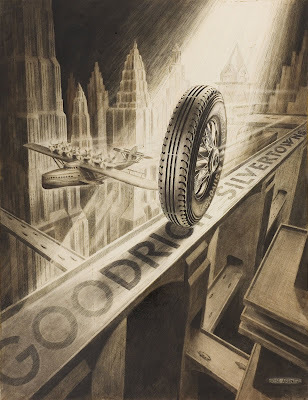 How rad is this old Goodrich car tire art from the 1940s, most likely during war time? I'm not sure of the origin of this art but am guessing its most likely from an early 70's man's magazine though I could be wrong. 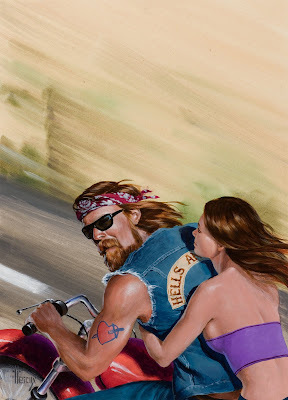 I've seen this image used as cover art on the Hells Angels 69 DVD. Here's a film thats just plain funny when a dead guy gets buried with his pre-unit then comes alive and rides it out of the grave. 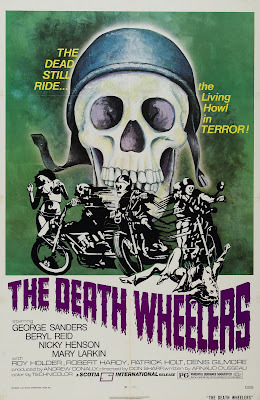 Put on your skeleton mask and start slapping that psychobilly bass as this movie gets a little bit spooky. 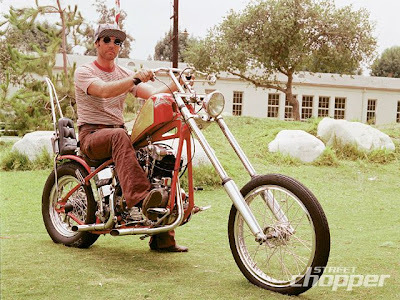 From rippled wide glides to crazy molded tanks the LA Choppers set a prescident for cool and earned the respect of their community as positive role models! 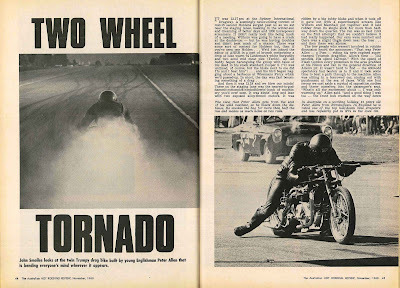 Here's a cool little article on Gary Littlejohn penned by Ed Roth right around the time the Savage Seven movie was released. Gary's panhead is shown here looking great in its first rendition! 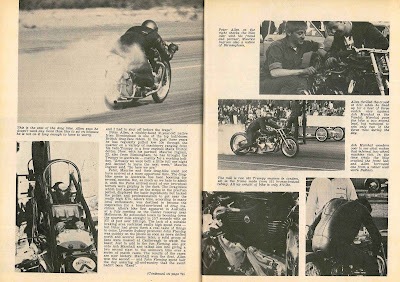 Thanks to Rene of Australia for sending over this article on an Aussie twin engine triumph drag bike circa 1968! 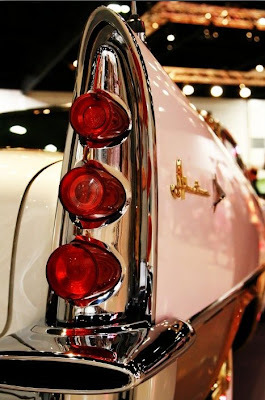 From a 1962 Cycle Magazine comes this wild panhead show winner. Check out the dragon on the cam cover, the dual drilled velocity stacks and trumpet tips, panhead frame with '59 sporty sections grafted in, and exquisitely upholstered Bates seat among other things! 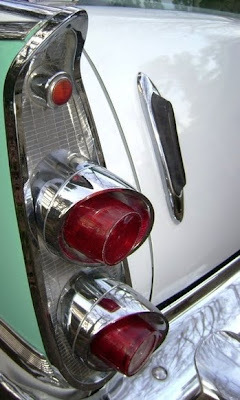 This custom cycle must have been pretty crazy for '62! I haven't seen this film but I'm pretty sure Gary Littlejohn is in it as I remember reading that somewhere! Here's the advertisement on the second page of the 1968 Roth's Custom Bike / Choppers Magazine drawn by Robert Williams. 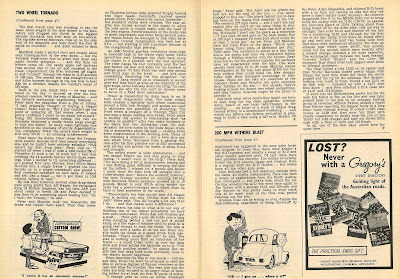 Again it appears Roth was looking to change the magazine name from Choppers to Custom Bike Magazine which must have been a short lived idea which may have ended with this issue. 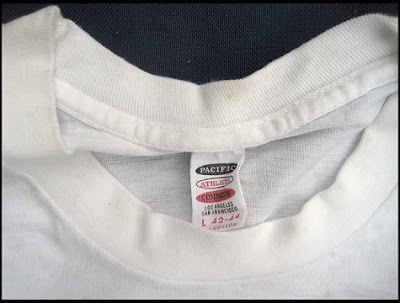 Any information behind this identity swap would be welcome! 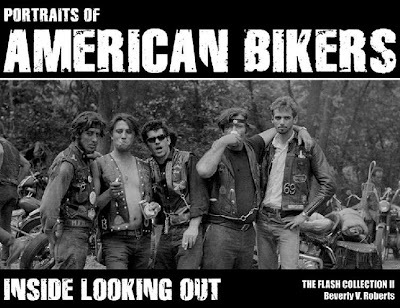 Portraits of American Bikers - Collection II Book - On Presale! 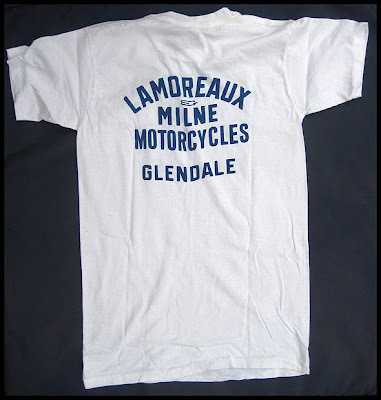 This one just sold on Ebay, from seller Manxtt for a little over $150.00, and here was his description, "...excellent original T-Shirt from the late 1950's or early 1960's from Lamoreaux and Milne Motorcycle Shop, Glendale California, 1940's Speedway Stars Wilber Lamoreaux and Cordy Milne's Shop owned and operated this shop and this Shirt is an original from their store, in very good possibly unworn condition..." A very cool original motorcycle racing t-shirt. 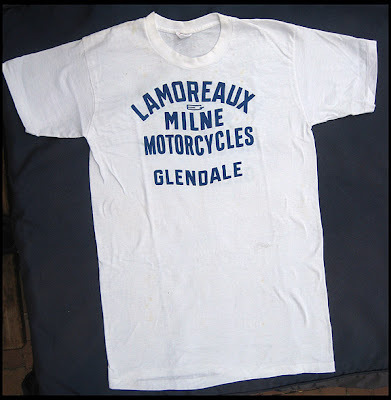 Check out the 40's Speedway program I posted a couple of weeks ago as both the names on this shirt appear on the program! I don't think this bike is anything spectacular really but the the owner has a great style and picked up the knuckle for $500 and it appears the complete bike and build was under $1,500. Gnarly!!! Check out the article as attached and this dude is also in the Street Chopper 40Th Anniversary Issue currently in newsstands nationwide.